Balveer Lakra lives in a peaceful village named Akrikona in Bagicha block of Jashpur District of Chhattisgarh. All the people in the village are farmers. Till a couple of years back, the farmers in this village had to face a lot of trouble. Despite having a river flowing by the village, farmers had to face shortage of water to irrigate their fields because of lack of facilities. They could reap only one harvest and it was not enough to support their families. The farmers,therefore, had to go to other places in search of work. Instead of working in their own fields they had to go work in other people’s farms. Balveer was no exception. However, in 2016,there was a turnaround in his life. The district administration introduced a programme named Sampann 40 in Akrikona along with other villages. The aim of the programme was to increase productivity of the farmers. When the officials came to their village to tell them about the benefits of getting associated with the programme Balveer decided to give it a try. They explained some advanced methods of farming and also how to get benefit from various different schemes of different departments. Balveer applied for asolar pump and got it under Saur Sujala Yojana from CREDA. With the help ofthat pump he could irrigate an acre of land where he cultivated chili. It wasfor the first time that he had cultivated chili on such a big scale. He made95000 rupees profit from that harvest. It was unprecedented. Never before hadhe made so much money from any crop. With the money he bought a motorcycle. Healso got a biogas plant constructed at his home. The profit made him moreconfident about the programme and he started to expand his activities. Now heis rearing pigs too. Balveer’s life hasseen significant transformation. He is no longer a worried and insecure farmer.Apart from the motorcycle he can now afford many other things as well. Recentlyhe got his children admitted in a good school. Balveer credits hisrise to Sampann 40. 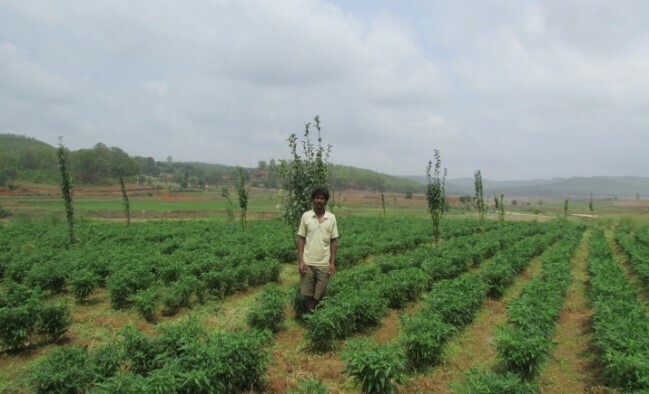 He believes it would not have been possible without theSampann 40 programme and the tremendous support the officials of variousdepartments extended to him and other farmers. “It is because of Sampann 40 thatI could double my income and my progress has been tremendous.” He says. 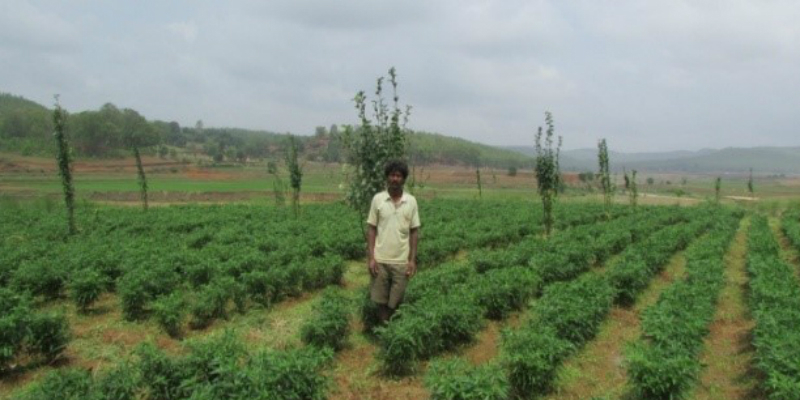 Balveer has become aninspiration for many other farmers. He is a role model and his story provesthat with the right support farming can be a lucrative income opportunity. Heis confident about a brighter future. He believes that he can give his family acomfortable life. He is happy that he is now able to ensure good education forhis children. It is a matter of satisfaction for him and his family that hedoes not have to go to other places in search of jobs. He has better incomeopportunities at home now and has a bright future too.